Peewee Longway is back with the second instalment of "The Blue M&M." 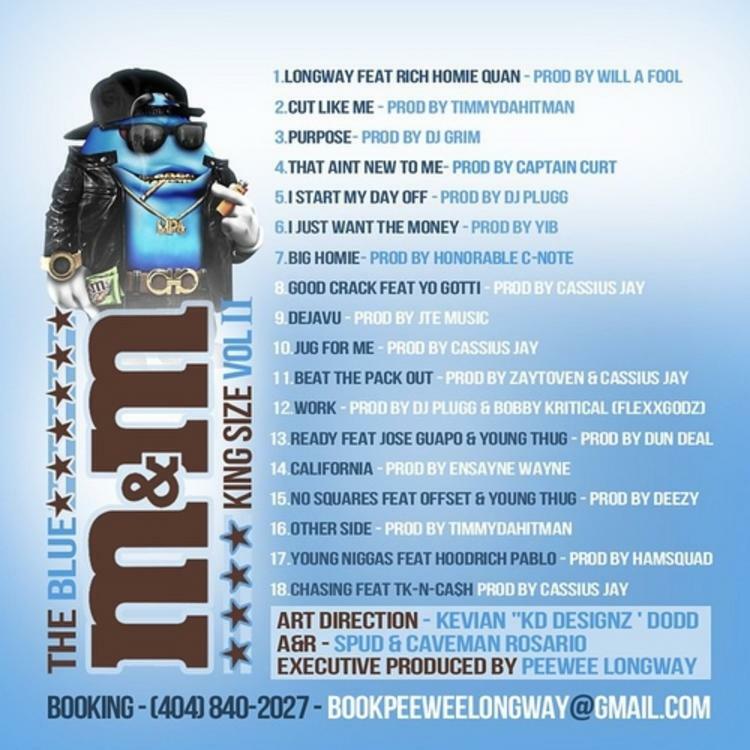 Longway-Longway is back with a new instalment in his Blue M&M mixtape series. 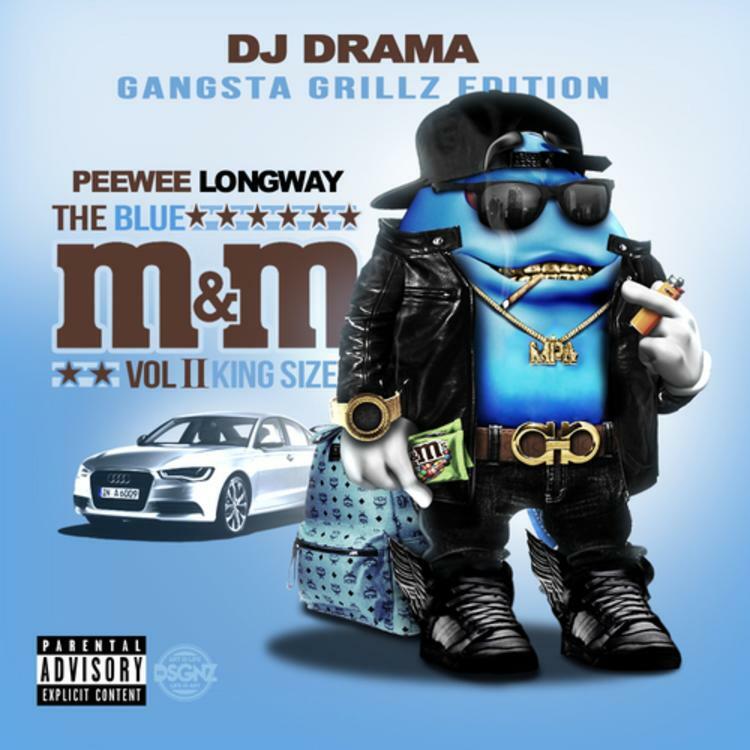 Peewee Longway first declared himself The Blue M&M in 2014, but today he's teamed up with DJ Drama for a Gangsta Grillz edition to the King Size mixtape. 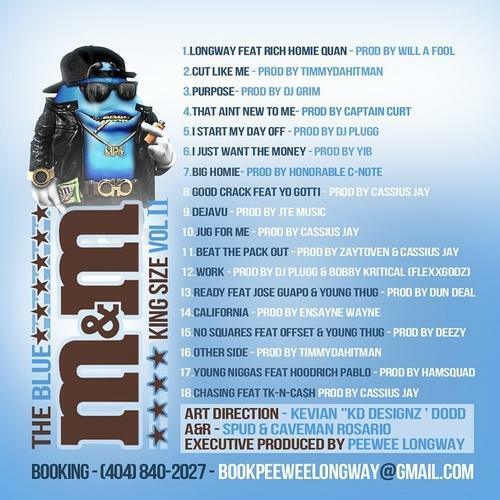 Some of the faces that were featured on the first Blue M&M make a return on this tape, including the Migos rappers, Jose Guap and Young Thug. Peewee also calls upon Gotti this time around. Production comes from Will A Fool, Cassius Jay, Zaytoven, Honorable C Note, Dun Deal and more. Listen and/or download. Is Peewee next up?